Over the past few months, I’ve found myself competing with two new friends, Paul Doiron and Hilary Davidson, for some of the same writing awards, and I love how it has turned out. 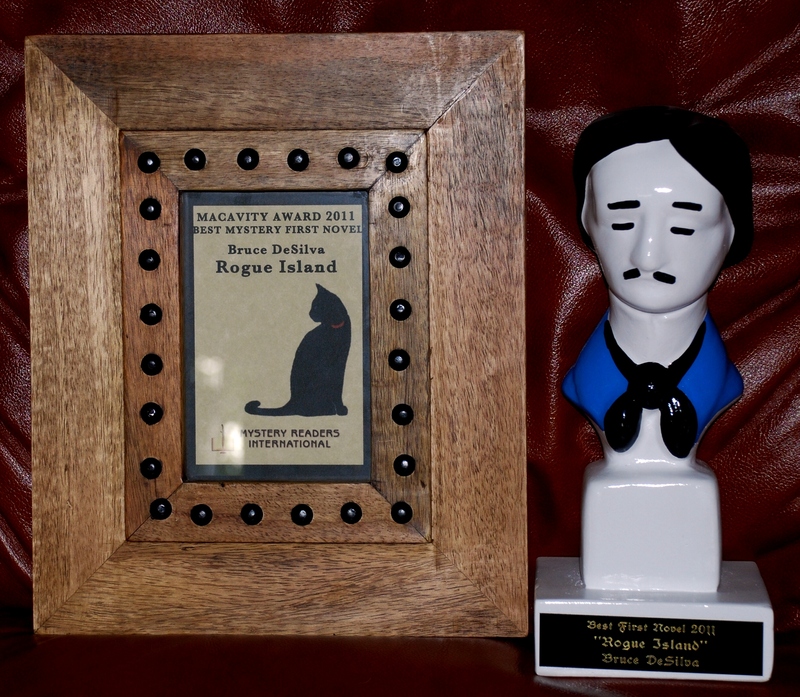 Folks have been telling me that the Edgar is the most important one, but as far as I am concerned, this is a tie. This entry was posted in Uncategorized and tagged Anthony Award, barry award, Bruce DeSilva, crime fiction, edgar award, hardboiled, Hilary Davidson, Macavity Award, mysteries, noir, Paul Doiron, Rogue Island, Spinetingler magazine, Strand Magazine, The Damage Done, The Poacher's Son, thrillers. Bookmark the permalink. That couldn’t have been divided up any better. What a win-win situation!